Submitted Photo Craftsman Chuck Dole is teaching basic leatherworking skills at Audubon Community Nature Center on Saturday afternoon, Feb. 16. Reservations for the event are due by Thursday, Feb. 7. JAMESTOWN — Learning a skill from an instructor can be much more rewarding than trying to teach yourself. 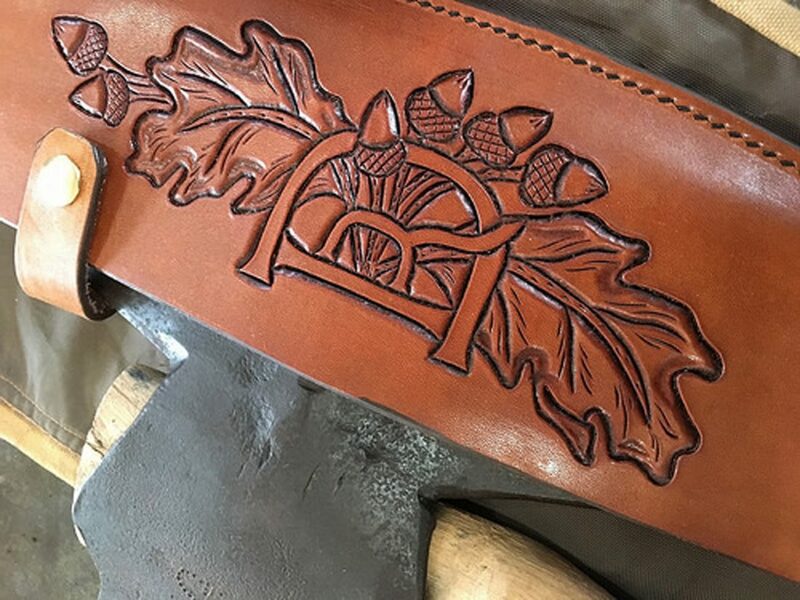 On Saturday, Feb. 16, 1 to 3 p.m., Audubon Community Nature Center is presenting “Leatherworking – An Introduction,” when participants can learn to shape, stamp, and finish leather items. Instructor Chuck Dole has decades of experience working with leather and creates works of art with practical purpose. All natural, leather is a versatile and sustainable material that can be used for numerous projects. In this workshop, Dole will teach attendees how to master the basic leatherworking skills to get started in this craft. Then take home the tools to help continue your work. The materials fee includes a kit that contains stamps, leather finish, leather cut-outs, a hammer and other materials. Tuition is $28, $21 for members and youth 9 to 15, with a $24 fee for materials. Audubon Community Nature Center is located at 1600 Riverside Road, one-quarter mile east of Route 62 between Jamestown and Warren.